Turmeric is now considered to be the most effective nutritional supplement in existence. Hundreds of studies all provide evidence that the herb has major benefits for the brain and body. It is the zesty spice that brings curry to life, and has been used in India for thousands of years as a medicinal herb. 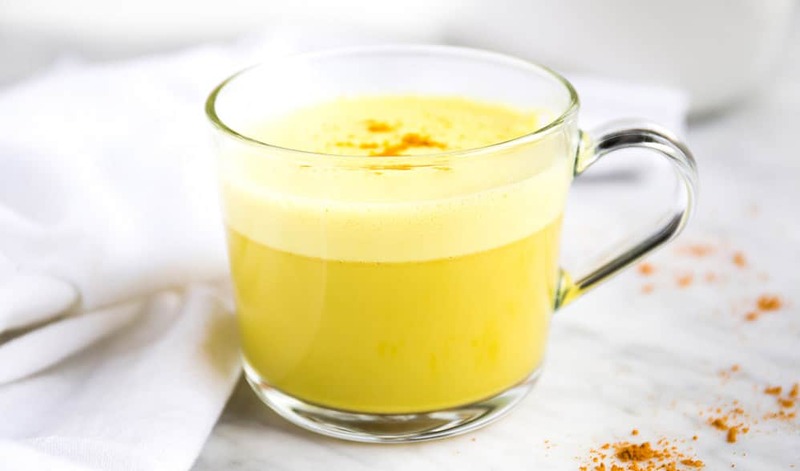 The benefits of turmeric are certainly not breaking news, however, these recipes are! We’re excited to be sharing these fresh ideas for healthy eating, because you don’t need a reason to spice up your life. 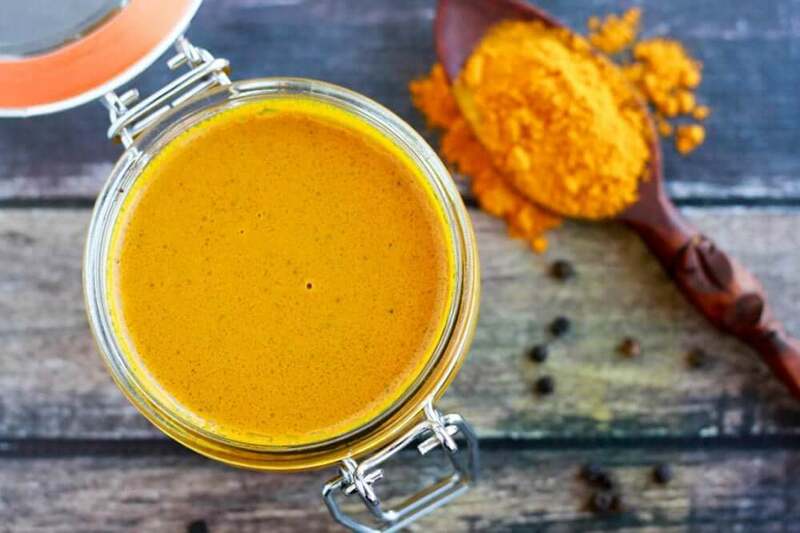 If you weren’t already aware, let’s recap on why turmeric should be added wherever possible. Basically, turmeric contains curcumin, a substance with powerful anti-inflammatory and antioxidant properties. It’s anti-inflammatory properties are so powerful in fact, that it has been compared to that of steroids. Turmeric has been used for centuries to combat depression, prevent heart disease and cancer, and improve brain functionality. It’s extremely high in Iron, Vitamin C and Vitamin B6. It’s also tasty, and brightens up a dish with it’s unique hues of yellow and orange. 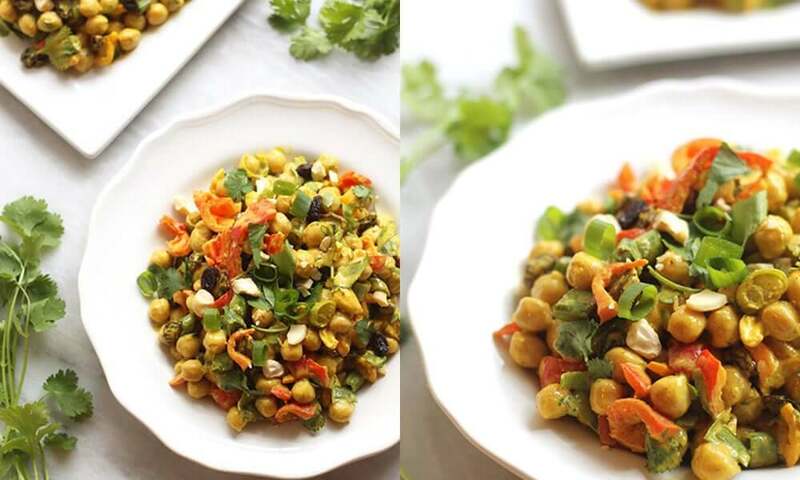 This colourful and flavourful curried chickpea salad is packed with fresh herbs, veggies, and raisins for the perfect healthy meal or side dish. Whisk together all dressing ingredients in a small bowl. Toss in a blender and blend well. Place salad ingredients in a large bowl. Add dressing and toss to combine. Surprisingly easy to make, if you have an ice-cream maker. Using coconut milk as the base and adding in spoonfuls of spices, it’s a really fun activity for any age group. A splendid gourmet-style desert which you can guarantee nobody has tried before. Add egg yolks and coconut sugar to a large bowl. Whisk mixture together until well-combined and frothy, about 1 to 2 minutes. Add coconut milk, vanilla, spices, and black pepper. Whisk again until combined. Pour golden-milk mixture into a medium sauce pot and cook over medium heat. Stir coconut mixture constantly until just thickened and it coats the back of a spoon, about 10 minutes. Pour the mixture into a large bowl and let sit at room temperature until cold. Pour into an ice-cream maker and process according to your ice-cream maker’s instructions. Transfer ice-cream mixture to a large container, cover, and freeze for 1-2 hours more, or until firm. Microwave dark chocolate and coconut oil in a small bowl. Scoop golden milk ice cream and serve with dark chocolate and coconut oil magic shell and coconut flakes. Gently warm the almond or coconut milk in a small saucepan. Do not boil. Add turmeric, ginger and cinnamon. Combine the coconut oil with the mixture and gently heat together until melted. Use a wire whisk or immersion blender to create a foam. Continue to stir until frothy and heated through. Stir in honey or sweetener of choice to taste. Sprinkle with cinnamon if desired. Sip, savour & enjoy. To create an extra frothy latte, pour the contents into a high-speed blender in place of a wire whisk or immersion blender. To make the turmeric paste, combine 2 parts turmeric powder with 1 part boiling water. Mix and store any extra in the fridge for up to 5 days. This is a lovely spicy variation on your classic roasties, using a small amount of oil and lots of tantalising tastes. Goes beautifully with masala-marinated chicken, or with plain grilled meat. Preheat the oven to 190C/400F/Gas 6. Half-fill a medium saucepan with water and bring to the boil. Peel the potatoes, cut them into quarters and lower them carefully into the water. Bring the water back to the boil and cook for five minutes – just enough to parboil them. While the potatoes are boiling, place a large non-stick frying pan over a medium heat and add the mustard and cumin seeds. Toast for about 30 seconds, then stir in the oil, garam masala and turmeric. Sizzle for a few seconds and add the onion. Fry the onion in the spices for 1-2 minutes, stirring frequently. Drain the potatoes in a large colander and toss several times to roughen up the surface of each potato. Tip the potatoes into the pan with the onion and spices, season with a few twists of ground black pepper and toss together until the potatoes are lightly coated. 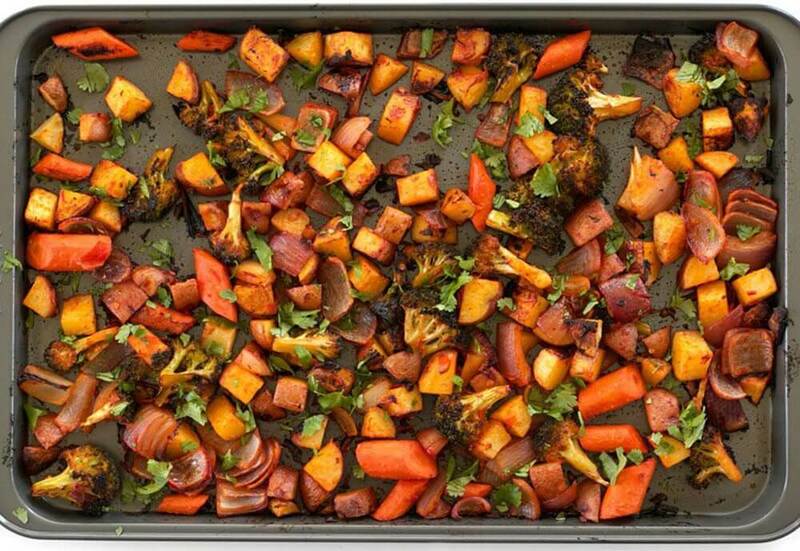 Tip everything onto a large baking tray and roast for 30 minutes. Take the tray out of the oven and add the peppers and courgettes. Toss lightly together and return to the oven for another 25–30 minutes until the potatoes are crisp and golden-brown and the vegetables have softened.